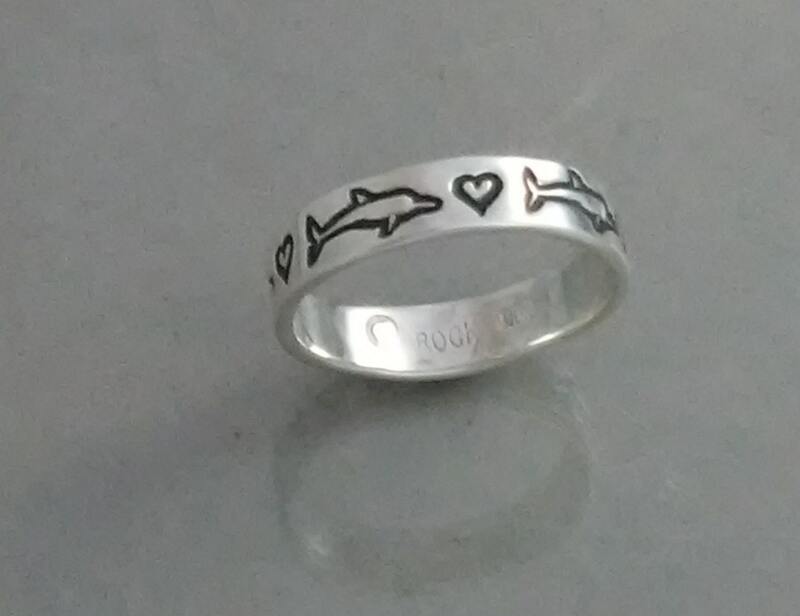 Dolphin lovers - this ring is for you! Five dolphins and five hearts grace this ring, design goes all the way around the band. Each dolphin is 3/8" long. Hand patterned,sterling silver.